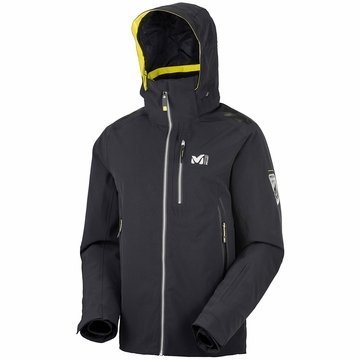 The Devil Stretch Jacket by Millet is a highly functional and stylish high-tech freeride jacket. The high-quality 2-layer DRYEDGE Xenon stretch material is resilient, reliable protection against extreme weather conditions, is highly breathable and durable. This technically demanding jacket will inspire you, the great cut that is super comfortable to wear not only for comfort but as a fashion statement as well, make the Devil stretch jacket the new favorite item! This jacket combines everything into what makes the heart of every freerider.